Shuo Zhang is the Global Director of Market Development within Intel’s Industrial Solutions Division. His team is responsible for defining and driving the market and ecosystem strategy to grow Intel’s Industrial IoT business across the manufacturing, energy, building automation, and logistics markets. Shuo’s team partners closely with Intel’s product and sales organizations along with ecosystem partners to shape product strategy and develop differentiated go-to-market plans for offerings spanning silicon designs, market ready solutions and kits, and IoT platforms and software. Previously, Shuo held various engineering and product management roles at Rockwell Automation and also co-founded an ecommerce startup. 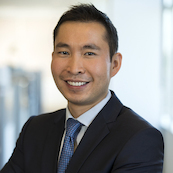 Shuo holds a BSE in Electrical Engineering from University of Michigan and an MBA from the Kellogg School of Management at Northwestern University.